I started to write on Auto Chess from the very beginning with the intention to help out the players. Here is, DOTA 2 Auto Chess: The Best Hero Class Combos and Tips. Then I realized I have written enough to help the players who are already playing this game but the newer players might get confused. So here is my guide to Dota Auto Chess for the beginners. 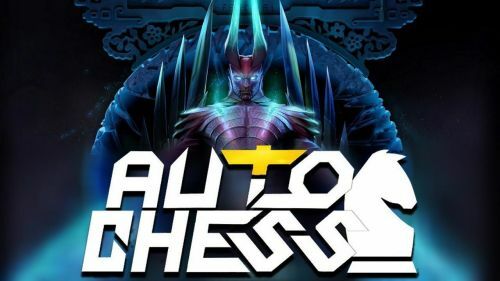 How To Play Auto Chess? I will explain the basics of the game before jumping to the steps. 8 players go into one lobby and they play against each other in this custom map of Dota 2. Every player will start the game with 100% HP. First 3 rounds are creep rounds, after that every player plays against another player. The neutral creep rounds will keep coming back. Slaying the neutrals will grant you items that you give to your hero. The items are the same as Dota, just with small changes. Every round you win, your donkey stays unharmed; for every round you lose, it loses a percentage of its HP. The player with the highest remaining HP stays on top and the player with least HP remaining, stays on the bottom of the standing table. You will be eliminated after you lose all your HP. So being in the top 4 makes you a winner and the bottom 4 makes you a loser. Top 3 players get candies as their prize. You can use the candies to buy different couriers but it does not help the game, it's just cosmetics. You're the donkey in the game. The courier is the player. You will be given gold at the beginning of every round. I suggest you to save your gold and not to waste on refresh as the more gold you save, the more you earn every round because you get a 10% interest on your saved gold. Click and buy heroes from the tray available. Use the first spell of the donkey to select and drop the hero on your board. Use the 2nd spell of the donkey to pull a hero back to the bench. You can sell your heroes and get your gold back. If you put three level-1 heroes on the board, it merges and becomes one level 2 hero. Druids can level up just with 2. Upgrade your heroes and notice the mentioned class of the hero. A certain number of heroes from any class will activate the power of that hero class. Make more and more class combos and level up your heroes to win the battle.